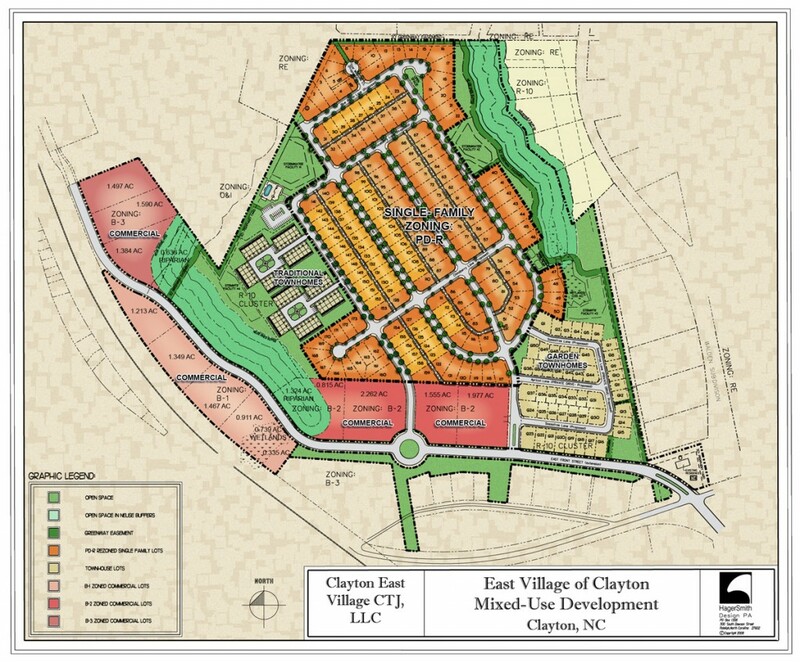 The Madeline Peele property was fortuitously located for a unique development opportunity in Clayton, NC. The plan, while being a new development, was created to reflect the character, scale and diversity of uses in the immediate neighborhood. 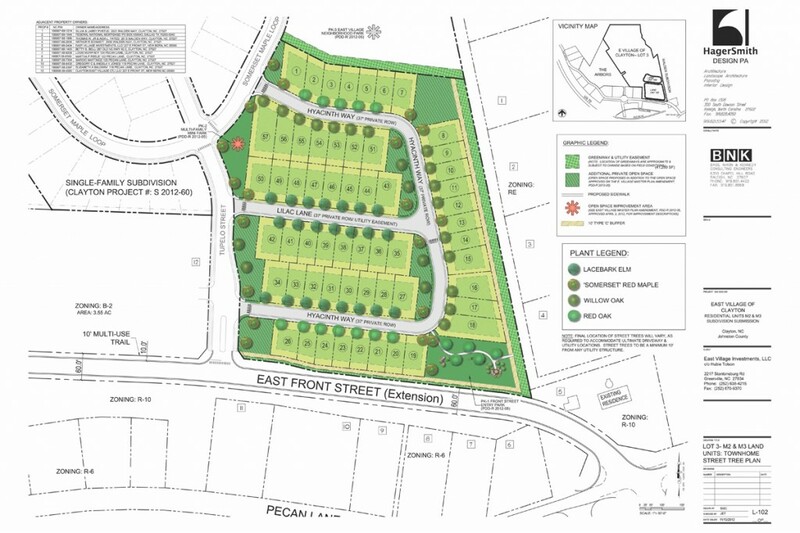 The plan includes retail and general business sites, single-family, apartments and townhouses. 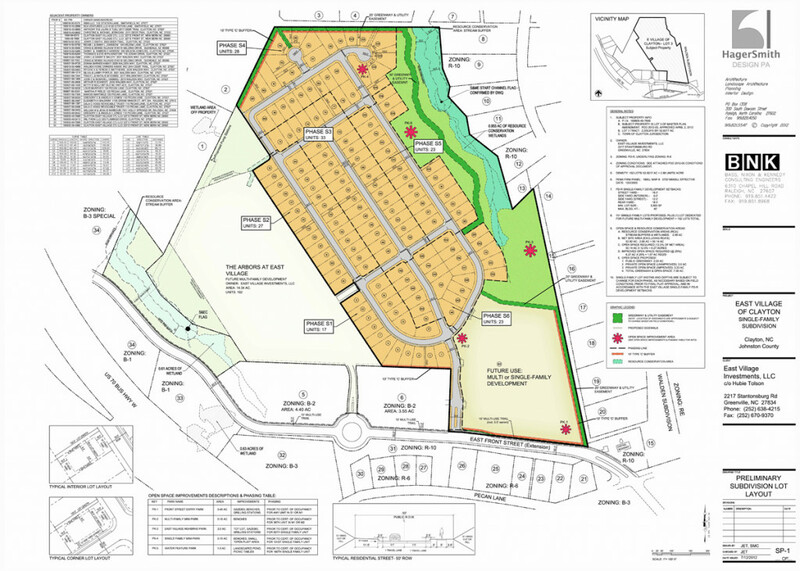 The 160 unit single-family subdivision is serves as the core of the project with the other uses on its perimeter. The layout of lots and streets was designed to complement the older Clayton neighborhoods. The 192 unit Arbors apartments and the 48 unit townhouse community provide a wide range of housing choices. A key transportation element of the plan was the provision for the extension of East Front Street from Downtown Clayton through the project to Highway NC-42, providing a valuable east entrance into Downtown. The project’s commercial properties were located adjacent to East front Street to again, reflect the Downtown business core as well as providing the parcels public street exposure. 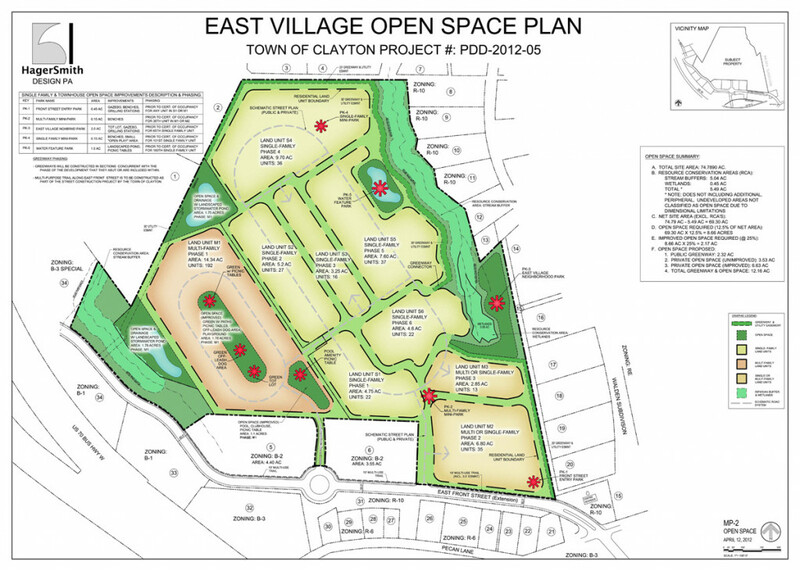 Another important element of the East Village plan is open space. Two streams and associated wetlands serve as the core natural areas of the open space system. A series of parks located within the Arbors, the townhouses and the single-family subdivision provide a variety of recreational facilities including a pool, playgrounds, dog park, picnic areas, benches, play fields and pavilions. Connecting these parks is a greenway system consisting of almost two miles of walks and trails.